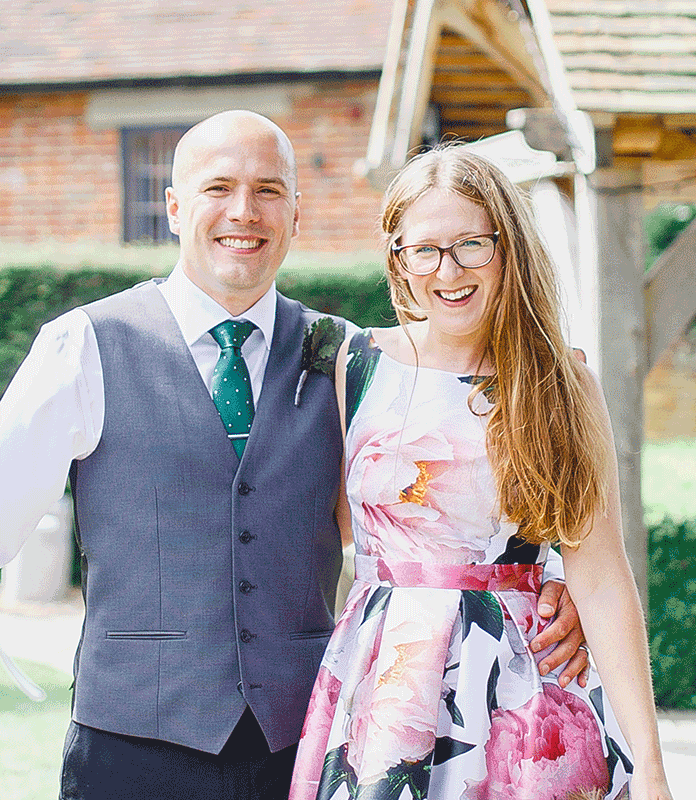 We catch up with Louisa & Duncan Dettmer from Louisa Dettmer Wedding Photography and ask them about their milestone achievement. Your both excellent photographers so why did you choose weddings? Weddings are fantastic! No two families or couples are the same, so it means we adapt to each couple’s requirements for their day. It is exciting and dynamic and certainly keeps us on our toes. We enjoy chatting with guests and getting to know those in the wedding party. That also enables us to seamlessly fit in with the events around us and works in our favour whilst capturing candid shots of the happy couple, and their guests – as well as the key formal moments and all other aspects of the day. Feedback from our clients suggests they love the fact that we are a married couple because they feel our ease and confidence in what we do and with each other transfers to them too. We appreciate that not everyone is comfortable in front of the camera and our easy-going but professional approach makes the photography side of things seem much more relaxed than they may have initially expected. They also love that interaction between Duncan and I whist taking their photograph helps them to forget that they are being photographed. Your Bridal photos are often described are “beautiful” and “stunning”, what do you say to that? We pride ourselves on giving 100% to each and every wedding and this is reflected within our work. We love to create images which evoke the feelings of the day – to capture the beautiful surroundings often chosen for a wedding venue and the happiness of the couple within them. Our 10 years of experience means we also anticipate the moments of emotion throughout the day and are in the right place at the right time to capture them. Our images are sharp, colourful and emotive and we are pleased and proud to receive such amazing feedback from our clients and their guests, and we love it when invited to photograph the weddings of couples we have met at other weddings, it is an honour. Tell me a bit about your prices and packages? All our packages include a disc of your images (we aim to provide at least 500) as high resolution files, copyright free so you can reproduce your own prints however and whenever our clients like. We have selected the finest quality of albums and put together packages which will satisfy not only the Brides and Grooms album requirements, but also those of their parents. As well as the main album, we include parent books within all our album packages. We also realise that not all clients are interested in having an album – for them the disc only package is perfect. Our pricing is competitive, clearly set and all inclusive. We understand that budgeting for a wedding can be hard, so there are no hidden extras with us. Is being a Wedding Photographer easy, everyone has cameras these days? I think everyone knows someone who is great with a camera but being a wedding photographer is a whole new level!! Yes, of course having great equipment is a part of capturing great shots, but to be a great wedding photographer, that equipment needs to go hand in hand with great people skills, excellent organisation, years of experience, the ability to adapt and anticipate both changing scenarios and circumstances and make it work every time, without exception. We get no second chances to capture a client’s wedding day, so we must work under pressure and try to go above and beyond every time. So, what should Brides look for when choosing a Photographer? First you must love their work – Ask to see the shots from a least two or three weddings in their entirety so you get a real feel for a whole body of work instead of just the best bits. Second, find someone you feel a connection with. You will be choosing someone to be spending time with you on your wedding day, so you should feel comfortable, confident in their ability and relaxed from the get-go. We also won the Photographer of the Year at the Kent Wedding Awards recently, which we were very pleased about. The awards are a great way for Kent Brides to choose their suppliers. So how far in advance are couples booking you? On average most bookings are for two years in advance for the best summer dates, we have had Brides arrange their wedding around our availability which is wonderful and shows how confident they are in our ability to delivery exactly what they want. If you find a photographer you like, book them as soon as possible.